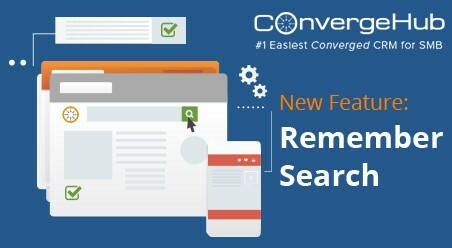 Tomorrow, we will be launching the much awaited Remember Search feature that will completely change the way you do your searches in ConvergeHub. This is just the feature that many of you have been asking for – and we can hear your shrieks of excitement, all the way up to our office in California! 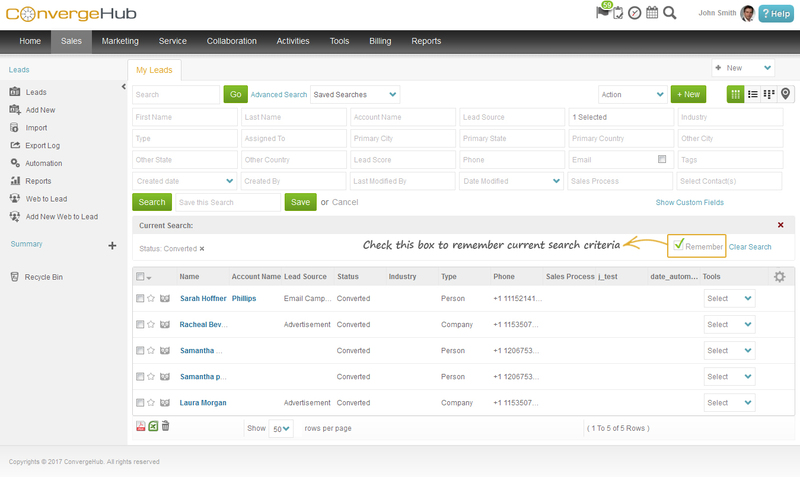 You have asked for a functionality in ConvergeHub CRM that will remember your searches with a single click of the mouse.. and we obliged. 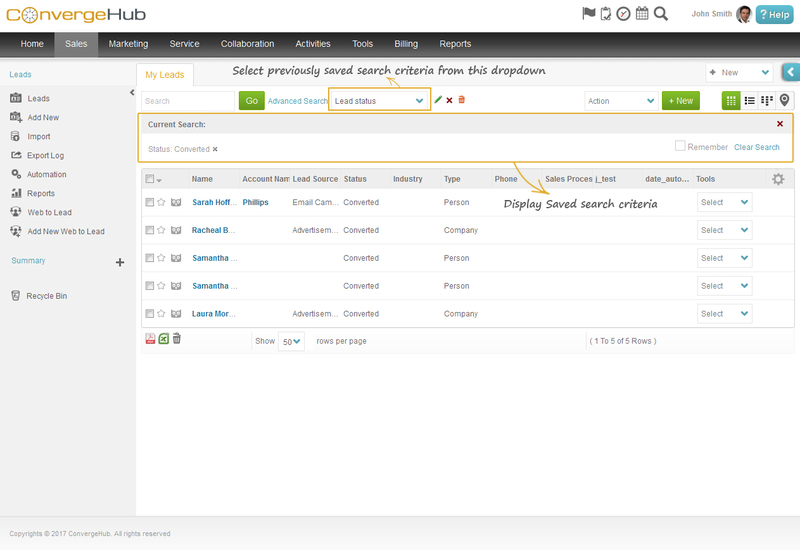 Remembers Your Last Search Results Even If You Have Left The Search Results List Page And Have Moved To A Different Page or Module In ConvergeHub. Note: You can even click on a specific row of the search results List page to visit the Detail page and after viewing its detailed contents navigate back to the search results List page, and your search results will still be there for you. If you have searched for certain values in any module and have clicked on the Remember Search checkbox, and then moved to any other modules and have made individual searches, while also checking on those Remember Search checkboxes- all the individual search results will be retained in all the modules, no matter how many times you have jumped back and forth between them. 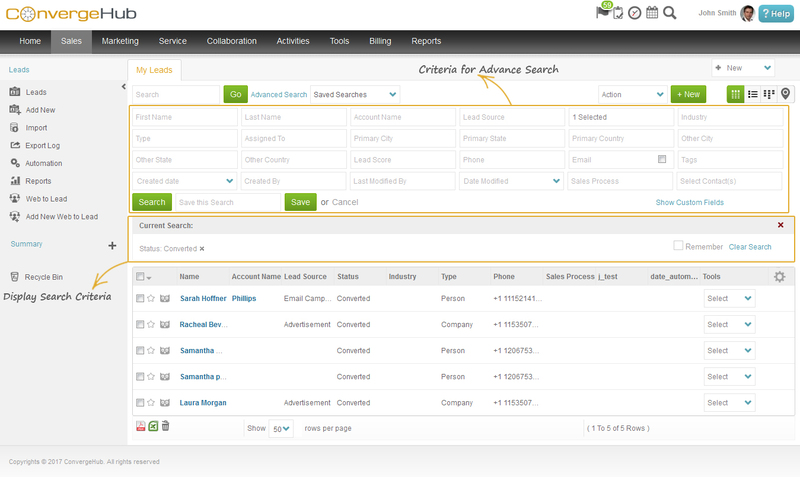 The Remember Search functionality in ConvergeHub CRM helps in remembering and retaining the search criteria and the results of your search, in all the modules individually, till your work gets done. If you have any suggestions or questions on this functionality, write here in comment section. We are always here to help.